March 2nd is Dr. Seuss' birthday. For school this week, I will be doing several Dr. Seuss themed activities, crafts, and snacks with my kiddos. The first snack goes along with the book, The Cat in the Hat. I love that our copy of this book is actually my childhood copy! 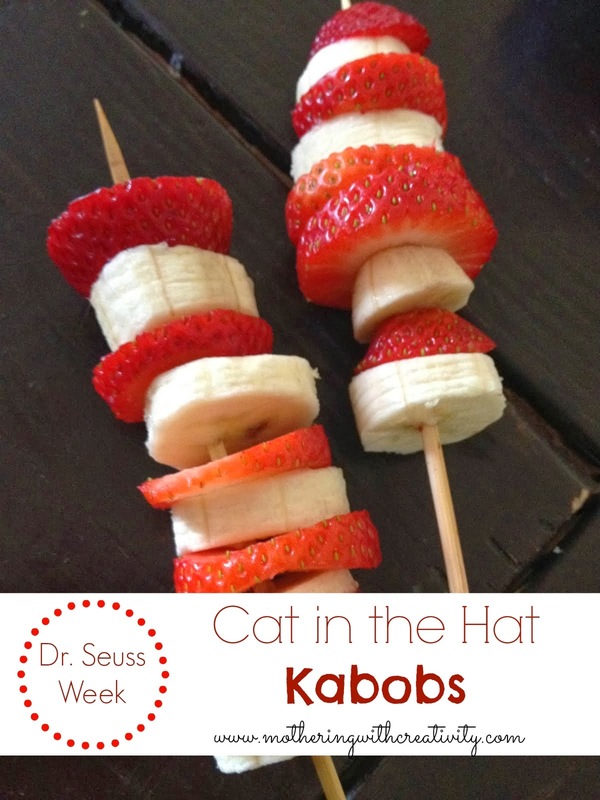 We read the book and then made "Cat in the Hat Kabobs." 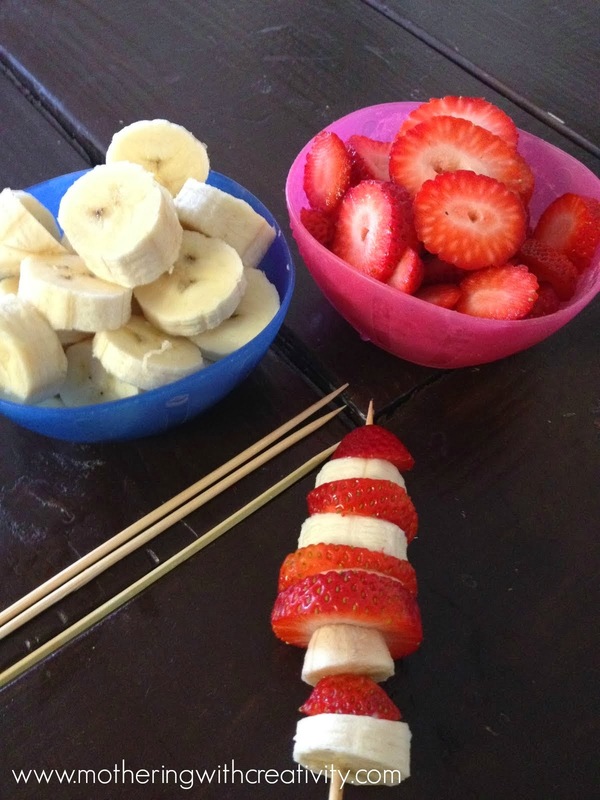 I sliced strawberries and bananas, and gave each of the kids a skewer to create their own "hat." And then, of course, they ate them!